The EVE community is an incredibly vibrant collection of clever people and organizations who provide passion, innovation and excitement within the EVE Universe. These amazing Capsuleers have created countless wonderful EVE related projects, events and initiatives throughout the years and thus helped to create a unique EVE Online experience. Since the beginning of EVE we have witnessed many contributors engaged in endless hours helping the EVE Community by either setting up events and tools or indirectly by providing an infrastructure for sharing information or letting players efficiently help other players. Amongst all these contributors, small and big, only few have helped the EVE community with such a beneficent passion, dedication and impact as one person alone: Chribba. Chribba is a long time member of the EVE Community. His passion for EVE Online began in June 2003. Early community interaction happened mainly on the EVE forums with many fruitful discussions. While organizing numerous in-game projects and massively supporting the EVE Community with out-of-game services and tools for many years now (more about that later), people consider Chribba to be one of the most famous and trusted member of the EVE Community. 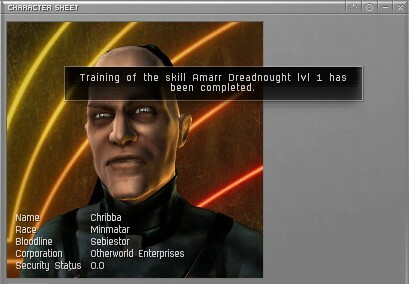 Chribba is also famous for his Veldspar passion, his dreadnought class mining vessel, the Veldnaught in Amarr, and his Veldfleet, a fleet of capital ships exclusively fitted for mining Veldspar that harbors all nine different supercapital ships. Chribba supports the EVE Community with valuable tools and resources since many years now. It is no exaggeration to say that EVE Online would be not the same as we know it today without the many tools provided by him. The main tools for players include EVE-Files, EVE-Search and EVEBoard. He first started supporting the EVE Community because he wanted to help some friends and from there he continued offering more powerful tools to benefit the entire community. EVE-Files is a free file hosting service for EVE related content. It was opened to the public in March 2005 and since then it has been used for an estimated 300 million downloads with more than 1000 TB of data transferred. 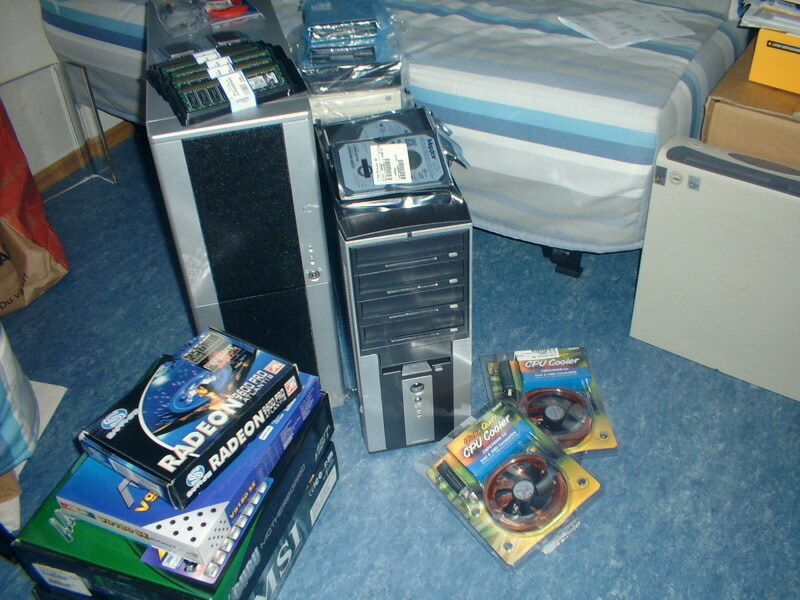 The custom made server (first hardware bought is shown here) transfers in average 8 MB/s; currently Chribba hosts files with a total size of 3 TB on EVE-Files. EVE-Search is a mirroring service of the official EVE Online forums combined with search tools and statistics, it went public May 2005. As EVE-Search seamlessly continued mirroring the forums after we switched from the old to the current new forums, its search query inspects both the archive and the current forum posts. EVE-Search also features statistics for each forum user about post count, average activity, most popular threads and more. Currently slightly more than 1.5 million threads are archived. Two servers are dedicated to EVE-Search and handling the average of daily 2 million requests: A dual-dual-core @2.2GHz HP DL-series with 24GB RAM for the main database and website and a smaller HP ML-series acting as search database. Chribba plans to add new database servers soon that will use 64GB RAM together with a quad-core i7 CPU and a RevoDrive3 X2 for database access at 200,000 IOPS. EVEBoard is an exhibition of EVE characters which detailed information about their skills and statistics in general. Players can publish their characters via EVEBoard while they can customize the amount of information being revealed. Since the launch of EVE Board at September 2009 more than 42.000 active player characters use EVEBoard to track their skills via the EVE API. EVEBoard has also customizable filter options which allows the search for characters with certain skills only. The EVE-Board servers receive in average 500.000 requests and 100.000 pilot updates daily. EVEBoard is currently hosted on a hexa-core @3.2GHz with 16GB RAM and a RevoDrive X2 for database storage. Chribba’s OMG Labs. has published more tools, all of them are an impressively valuable help in empowering the EVE Community. Chribba organized countless events in game of various sizes, the cozy LoveCans and highly praised LoveQuests are just some examples. Chribba was also the focus of various events organized by the community, for example helping him to defend his Veldspar Towers and "Chribbas Cottage UNITY station". Due to Chribba’s immense popularity, reliability and his generally peaceful approach (unless you contain some Veldspar…), Chribba is among only a few other people in New Eden with impeccable credentials as a trustee, often conducting high value trades between two parties. The total value of these third party trades reached, accordingly to Chribba so far, are in excess of 52 trillion ISK including 3,000 traded supercapitals. Chribba plans to continue playing EVE Online for quite a long time and he enjoys working towards the goal he has set for himself in-game. Out of game plans include a major update of EVE-Boards that eventually includes a massive amount of non-active pilots, he also works on an Android app. For EVE Online's 10-year anniversary he wants to organize something fun to give back for all the wonderful years he has received so far from EVE Online and its great community.